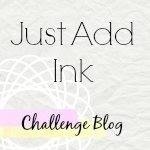 It's time for another challenge at Just Add Ink and this week it's a SKETCH CHALLENGE, my favourite sort! If you haven't already, go and check out the other Design Team Members' gorgeous creations on the JAI site or visit their blogs! I'm blown away each week by the amount of talent amongst those lovely ladies. This time around I wanted to do a card using black, white and shades of grey and seeing that SU don't have any DSP in those neutral shades (except a bit of black in the Urban Oasis), I thought I'd make some of my own using the collage technique. Firstly, I embossed the flourish stamp from the Baroque Motif's set onto the Going Gray textured cardstock, using white embossing powder. Then I stamped the En Francais background stamp over the top using Basic Gray ink. 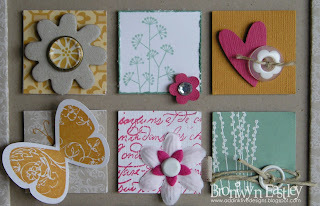 I rubbed the ink off the embossed flourish before stamping the flowers from the Organic Grace stamp in Staz On Black. 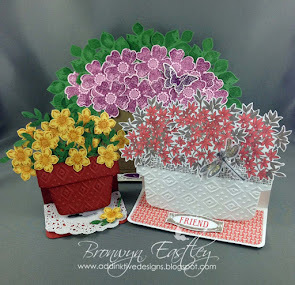 The flowers and dragonfly were stamped with the black ink onto the Going Gray textured cardstock and put on with Stampin' Dimensionals to add another layer. Some distressing and sponging with Basic Gray ink around the edges of the cardstock, helped to add a little more texture. 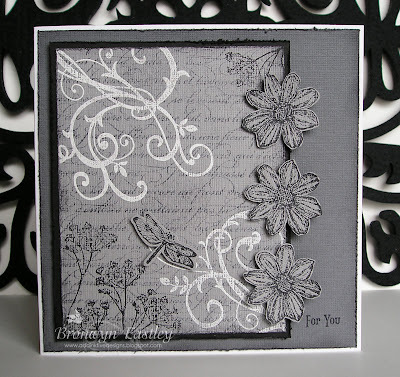 The black cardstock has been mounted onto the Basic Gray textured cardstock using Stampin' Dimensionals. 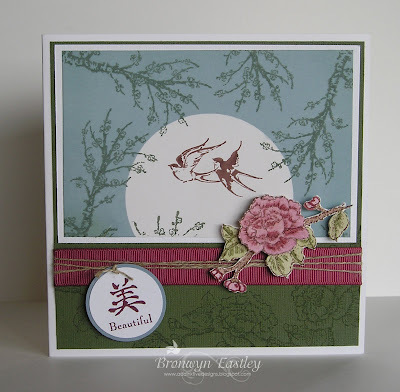 Lastly, a small stamp from the new SAB set, Vintage Labels, was used as the sentiment. I tried all sorts of 'squares' down the side, thought about using the black ribbon from the Valet Ribbon Originals or the Basic Gray Taffeta ribbon but nothing seemed to give the 'look' that I was after. It is unusual for me not to add any embellishments but I thought it would end up looking a bit busy!! Here's the sketch to play around with for the week. I'm looking forward to having a peek at what you come up with. 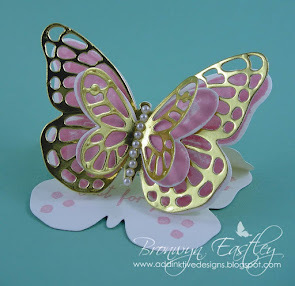 Last Friday I had my 100th posting and to celebrate I offered a prize; a pair of earrings made from the Pretties Kit, like the ones featured in my 'Just Add Dimension' entry. All you had to do was make a comment and follow my humble little blog. Well, the draw was very random because I just asked my son to pick a number from 1 to 6. He had no idea why and just said 3. Number three ...... Mae Collins! Congratulations, Mae. Please email me with your address details so I can pop them in the post to you ASAP. Your earrings have been made with white 'pearls'. 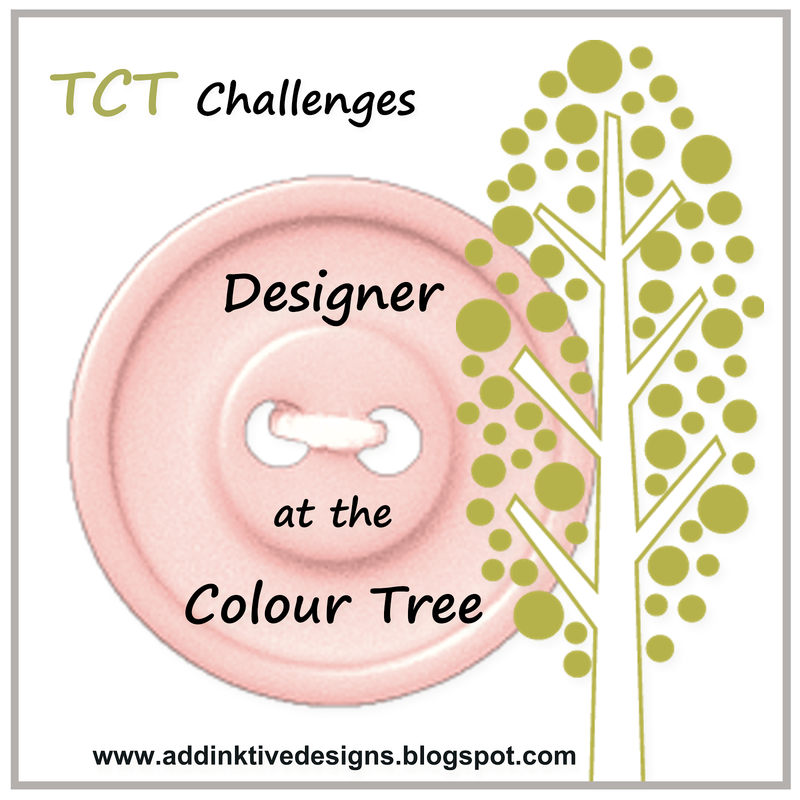 When I saw the gorgeous photo for the latest Stamp with Us Challenge, I thought the pastel colours would provide a perfect starting point and give me the inspiration I needed for a baby girl card. What a cute photo for the challenge. No wonder I couldn't resist playing along. 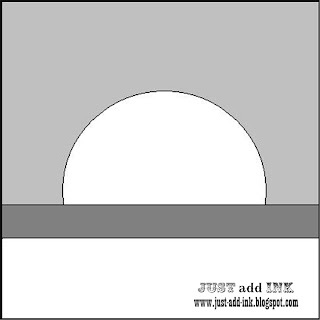 It's time for another challenge at Just Add Ink. I'm really enjoying participating in each one as a member of the Design Team. This week's colour challenge is really 'yummy' so get that mojo happening and let's see what you can create!! My picture was made using the 1 3/8 " Square Punch, lots of different accessories, techniques, cardstock, DSP and other punches. It was inspired by an example I found in a 2008, Fall/Winter SU American Idea Book and Catalog (p. 161). 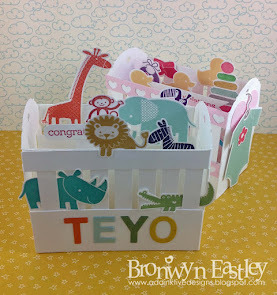 My upline, has made something like this and I have been itching to give it a go! Thanks Amanda for the inspiration!!!! 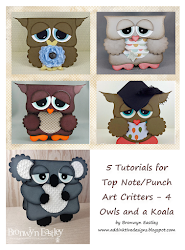 It was really easy to make and it would be great to take to to a workshop, as it displays quite a variety of products, in fact way too many to put in this post! I think I'd go nuts!!! However, if you want any more info, please don't hesitate to drop me an email. I covered the chipboard frame ( purchased from a Craft shop's bargain bin!) 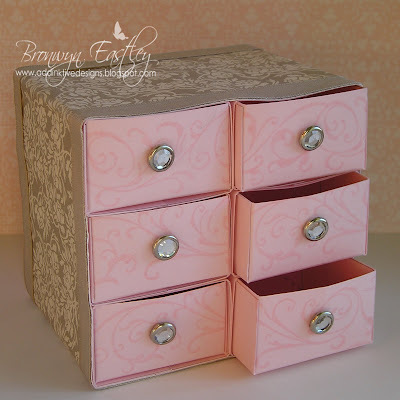 with the beautiful Kraft coloured DSP from the Bella Bleu pack. 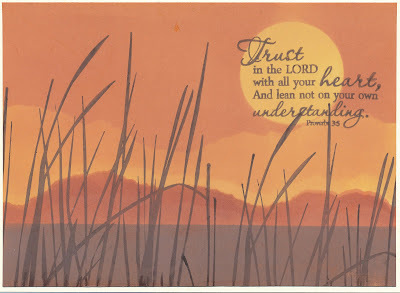 I used Tombow Multi Purpose Adhesive (great for chipboard). 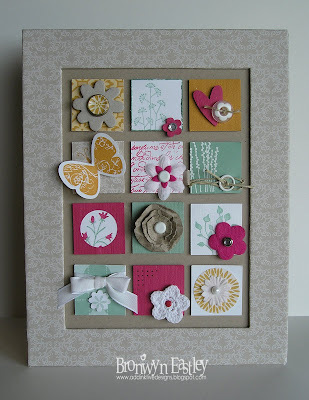 All the individual squares are attached with Stampin' Dimensionals. 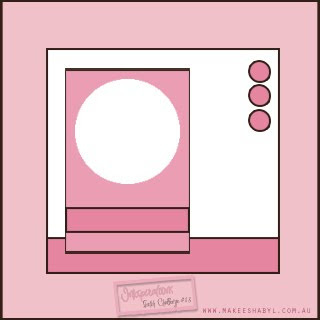 I chose my all time favourite, most used and loved stamp set, Pocket Silhouettes, for the overall 'theme'. Well, I hope that has provided you with a little inspiration. If you make one for yourself, please drop me an email with photo attachment or a link to your blog. I'd love to see what you come up with. Happy crafting. Enjoy the weekend. I love the colour combo of Perfect Plum, Kiwi Kiss and Whisper White and have made a couple of cards recently using those gorgeous colours. This time around, I've added Pale Plum to the mix. 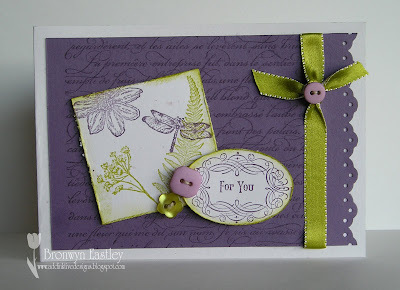 For Keesh's challenge I wanted to ink up this girl stamp from a Kind Word as I hadn't used it yet!! 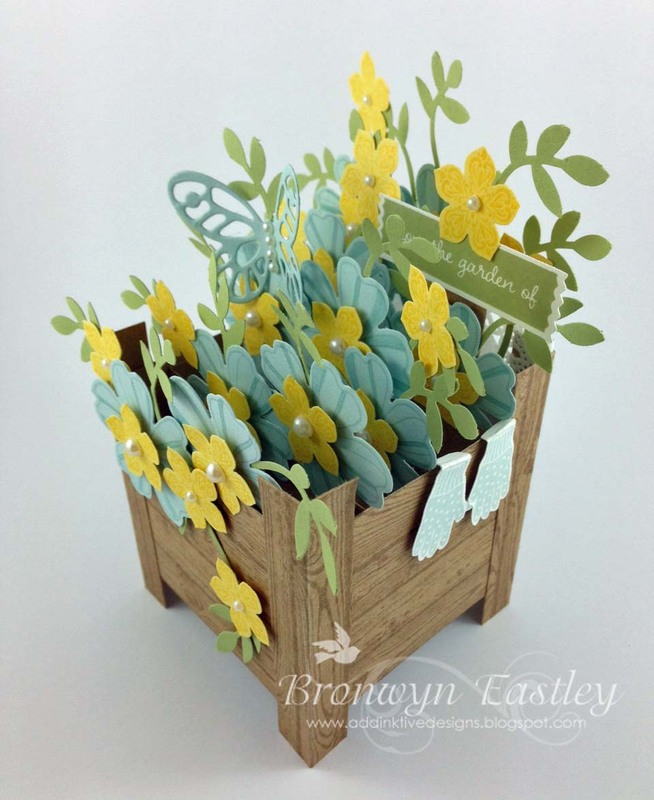 Plus, I was dying to use some Flower Soft for the basket of flowers. With all this in mind, the sketch took on a very flowery theme! I altered the sketch ever so slightly because I didn't want to cover up the border that I had made using the Trio Flower Punch and DSP. If you view this beautiful card by Claire Daly, you'll know why I've had a fetish for this gorgeous colour combination. Thanks, Claire for the inspiration! Have a great week. Mine will be busy as I'm back at work! 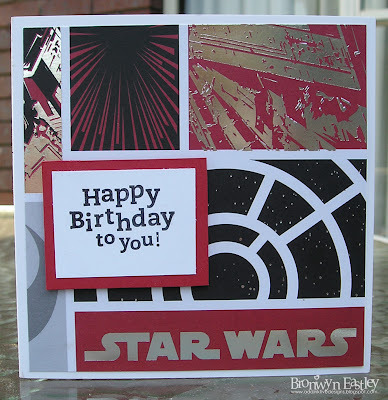 I have been wanting to do a post to advertise Sale-a-bration since it started on January 25th, but have been a little pre-occupied with being on the Design Team at Just Add Ink. 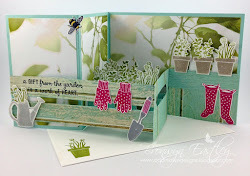 I did, however, take part in a massive blog hop and made a few examples using the Happy Moments Stamp Set but have not got in contact with my customers!! Shame on me. You'll be hearing from me soon! Hold a workshop and if sales reach over $600, you get a SAB stamp set of your choice for FREE (in this case - Vintage Labels). 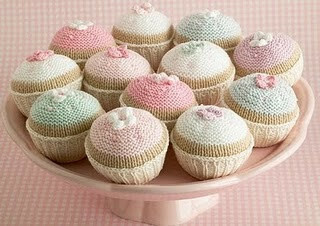 You would also be eligible for a Level 1 or 2 Hostess Set (in this example, Organic Grace). Then you'd have $70 to spend!!! How about the En Francais Background Stamp for $33.95 and one of the punches for $30.95? 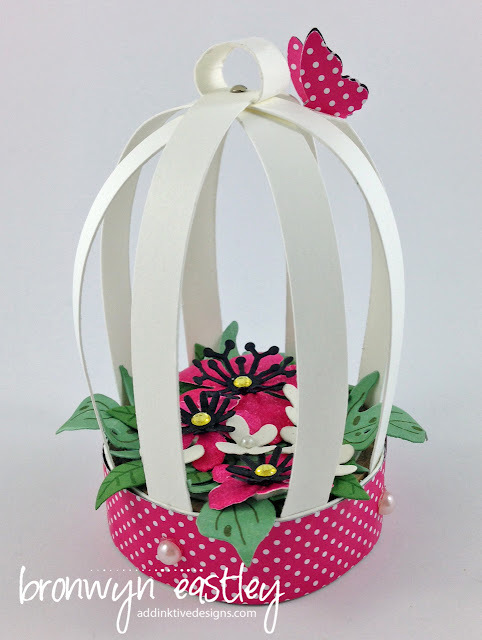 I have used the Wide Oval and Eyelet Border Punches. Then there would be a little credit still left to put towards that gorgeous Kiwi Kiss Satin Ribbon or perhaps some cute buttons from the Button Bouquet range. 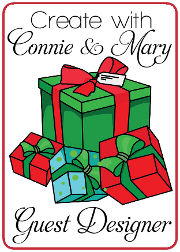 INDIVIDUAL ORDERS over $100 also qualify for a free Sale-a-bration stamp set. 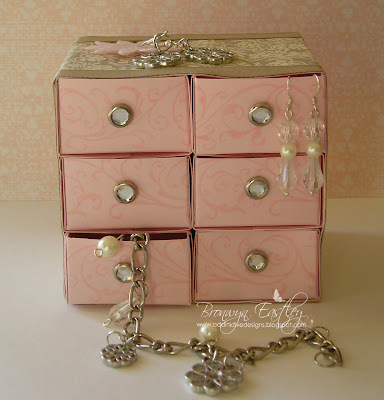 Just click on the picture of the SAB catalogue in my side bar to view each of the GORGEOUS stamp sets that are on offer. I am happy to accept outside orders within Australia/NZ (using a secure credit card facility) or if you live in and around the Launceston area, why not book in for a workshop of your own? I will also travel down to the North West Coast on weekends, as I have family in Burnie, Ulverstone, Devonport and Latrobe. 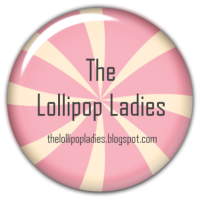 My contact details are listed on this blog. If you've ever thought about joining Stampin' Up!, now is also the most advantageous time, with an extra stamp set of your choice from the current Idea Book and Catalogue or Summer Mini (up to the value of $79.95) for FREE, along with the Starter Kit, which you can personalise to suit your needs! 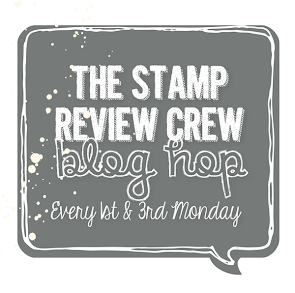 I am also in the process of organising a 'Stamp Club' for customers and SU Demonstrators, with the idea of getting together to learn some new techniques and just hanging out and enjoying each other's love of stamping and papercraft. It will be on a Friday or Monday night (the last in the month) at my house, with 2 projects to do for the total cost of $7 (BARGAIN!!! ), with no minimum to purchase SU products. Of course, orders will always be welcome, but not the focus. If you are interested, please let me know what night you would prefer to come along. Your only requirement for joining the dINKy chicks, is to provide me with your contact details, so I can send you out the necessary info in advance. You can then attend the ones that interest you, however, an RSVP would be essential at least 2 days prior to the night. Hope that all makes sense!! PS: If you want your own copy of the SAB catalogue, please contact me and I'll pop one in the post! 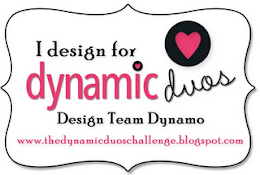 This week's challenge at Just Add Ink is a SKETCH CHALLENGE based on the sketch below. 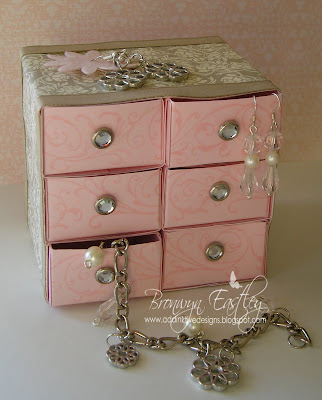 I think sketch challenges are the easiest to do as you can use any colours and stamp sets etc. 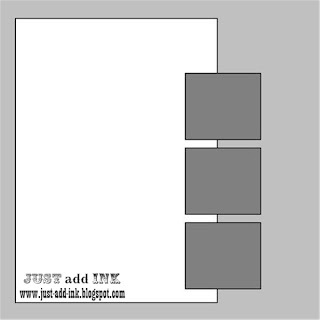 that your little heart desires and the layout is all worked out for you! I was really eager to ink up my Eastern Influences stamp set and wanted to use Always Artichoke, Mellow Moss and Bravo Burgundy together. When I saw that big circle I knew I wanted to get the brayer out!!! The sky couldn't be any of those colours that I wanted to use, so I added Bordering Blue to the mix. 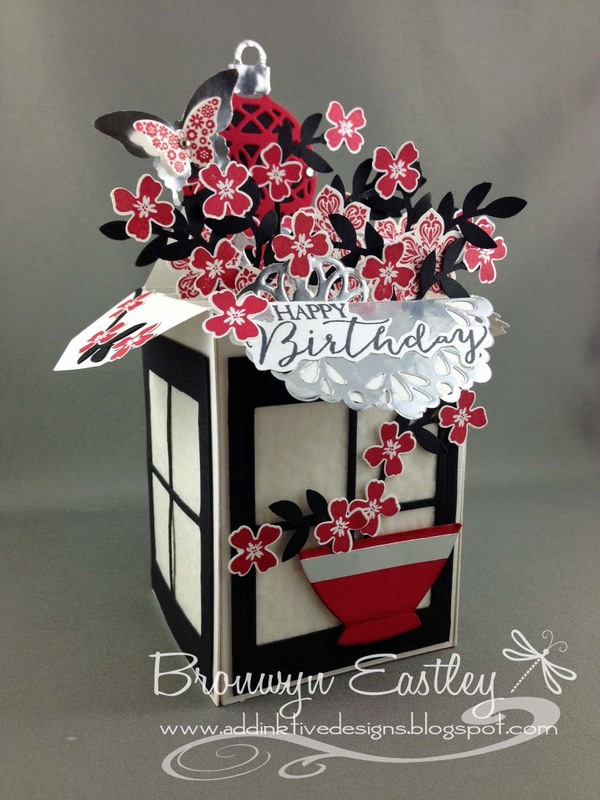 I think Eastern Influences is going to be one of my favourite sets - just love the birds and the blossoms. I hope you have time to play along with the sketch challenge this week. 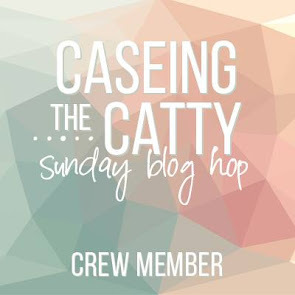 Most ladies, on blogs that I have browsed through, have said that they have more time to craft now that the kids are back at school, but the reverse is true for me. My holiday is almost at an end so it's back to work I go. I guess it will be good to get back into some sort of routine again and get a Stamp Club started, along with organising some SAB workshops! 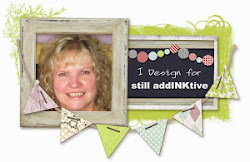 Being on the Design Team at Just Add Ink will ensure I add a post to my blog at least once a week! I was around at Tania's the other day, having a lovely time stamping and embossing, when on my way out the door, Tania mentioned that she forgot to ask me to demo the brayer! 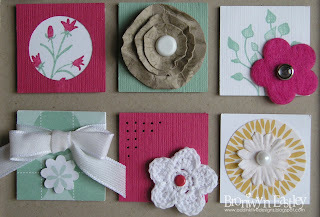 I suddenly remembered a great technique that I saw in a Card Making Magazine recently. 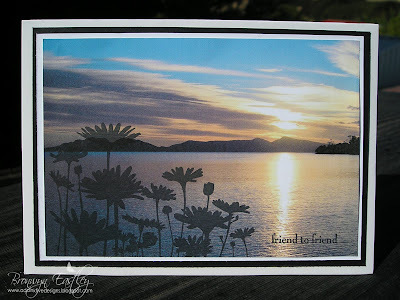 There were some examples of Stampscapes stamped over photos of sunsets. Brilliant idea!! 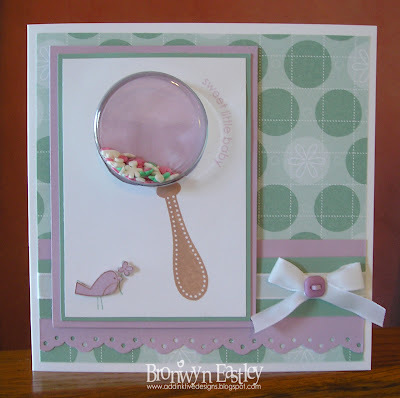 I thought this technique would look great using the Stampin' Up! Silhouette range of stamps. So here I am with example number one out of six that I did this afternoon. I'll show you the rest in a later post. I printed out lots of photos that my hubby had taken on a family holiday to Swansea (on the beautiful East Coast of Tasmania) and some sunset photos taken in Cambodia in 2008. I just printed them on Whisper White cardstock, stamped the silhouette in Basic Black and for this example, I added a sentiment from Pocket Silhouettes. Voila! So easy. I certainly won't stop trying to master the brayer (I love Michelle Zindorf's work) and it's a great tool for emboss resist as well, but I certainly have a lot more practising to do! Here's my first attempt at using the brayer (which I did long before I started blogging). I tore strips of paper to mask the different layers of colours that I used. From memory, the colours were More Mustard, Pumpkin Pie, Really Rust, Close to Cocoa and Chocolate Chip. 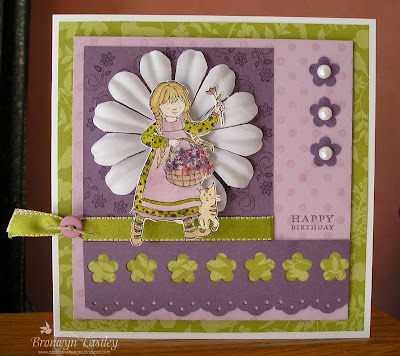 I used the grass stamp from Inspired by Nature. 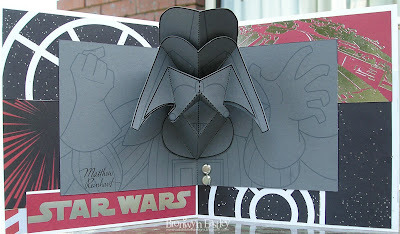 I have been wanting to do a pop-up card for ages and came across some great ideas from Stamp-n-Design. 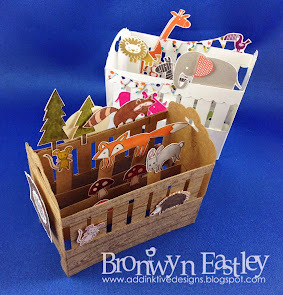 There's a great castle pop up that Lynn has done and a link to where she found all the FREE templates. You should check it out! Well, this is pretty simple, no fancy ribbons or other accessories etc. as it was made for our son's 20th birthday. He's been keen on Star Wars since 'forever', so thought that this would be a bit of fun to make. The only SU products are the cardstock (Riding Hood Red, Basic Gray and Whisper White), Basic Black Ink and Silver Jumbo Brads! Got the DSP from a craft shop and the sentiment is from the Spring Mini (09). Ryan thought it was a hit!! That's the main thing.